The S-Word. Does it really apply to the hospitality industry? Bars in London produce 800,000 tons of waste every year. This is just one city, which makes us realise the hospitality industry is one of the most polluting ones in the world. 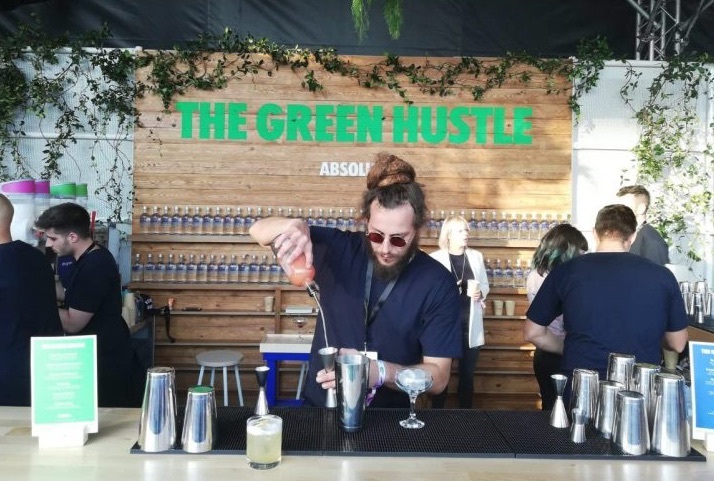 The Green Hustle comes with an astounding campaign that aims to inspire and enable bartenders to be more sustainable in the bar by showcasing ready-to-implement tools and benefits in a fun way. 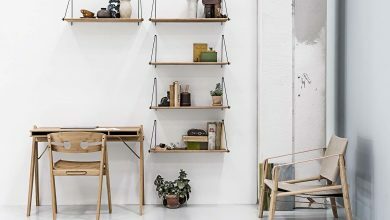 From the stuice recipe to the names of the bars that inspired this initiative… ’Bex’ Almqvist brings the S-Word to debate. Will this be the awakening of a more environment-friendly cocktail-era where straws where just a bad dream? 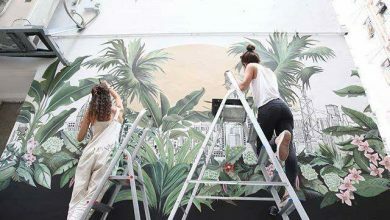 We interview Rebecca ’Bex’ Almqvist, co-founder of The Green Hustle and Marketing Manager on Trade at Absolut. 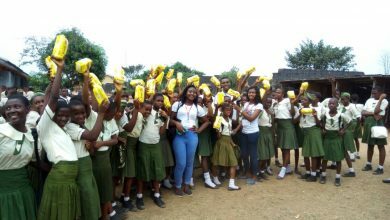 This project aims to reduce bar waste – globally. Hope you enjoy this interview and that all those “hustles” instigate change from today! Bex, you are on a mission to reduce bars waste. 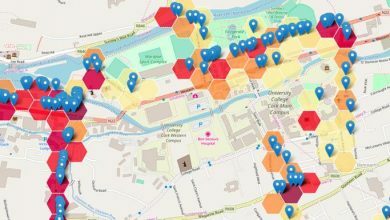 What is the current data on the problem you’d like to address? The bars in London produce 800,000 tons of waste every year. That is more than the combined weight of London’s total population. 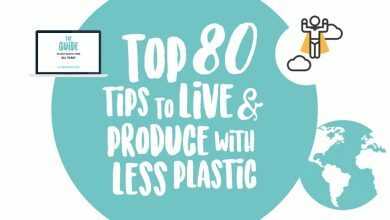 1 plastic straw takes 200 years to decompose and about 8,5 billion straws are wasted in the UK alone each year. There are 50,000 bars in the UK, 60 000 bars in the US and 260,000 in Spain, that is a lot of waste. 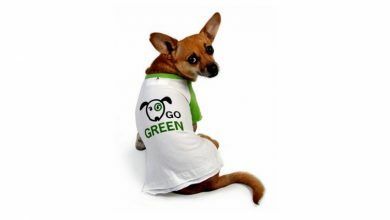 What was the tipping point for you to start The Green Hustle project? My interest in sustainability started when I worked as a bartender in London and began to reflect on how much waste we were producing at the bar every day. Since then, my passion for sustainability has grown stronger over the years. When working at Absolut, I’ve had the opportunity to spend time at the distillery learning from our makers, and they do so many great things there that I am passionate about. A few years ago, we also started collaborating with really cool people who promote sustainable practices in the bar environment. This got us thinking about what we could do to help even after our vodka had left the distillery. That’s how the Green Hustle came about. We wanted to share our enthusiasm and perhaps some of our hard-learned lessons, by supporting a movement which will undoubtedly start to make a difference in the world where our vodka lives. The sustainability movement has been prevalent in the culinary world for quite some time now and recently, the movement has also slowly been making its way into the bar world. A reason for sustainability’s late penetration of the bar world could be that the bar industry is not in the same spotlight as the restaurant- and food industry and is, therefore, receiving less pressure from the consumers. However, the problem with bar waste is real and there are no excuses for not taking action. It’s time for everyone in the industry to spread awareness of the problem and start making bars more sustainable. How does your mission to reduce waste in hospitality and educate other bartenders to take form? 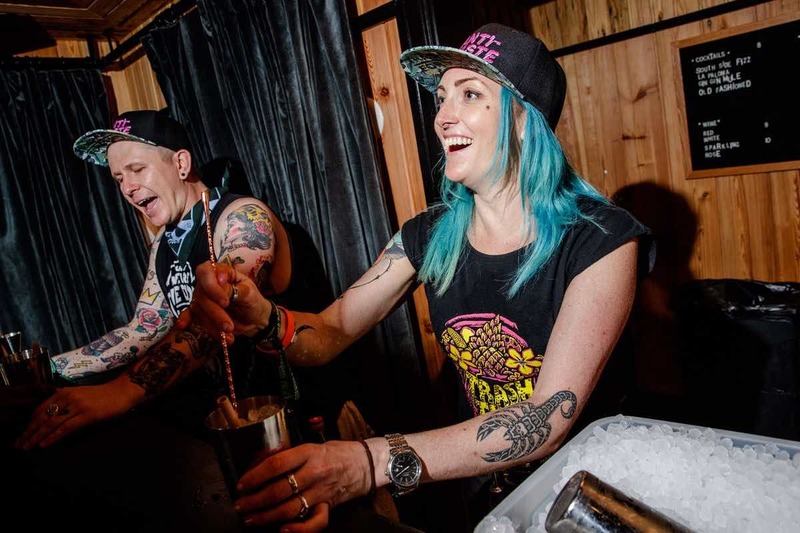 We spirit Bartenders away in a fun sustainable world of new thinking, delicious drinks, biodegradable confetti, practical demonstrations and generally dope seminars on how you can make a change. 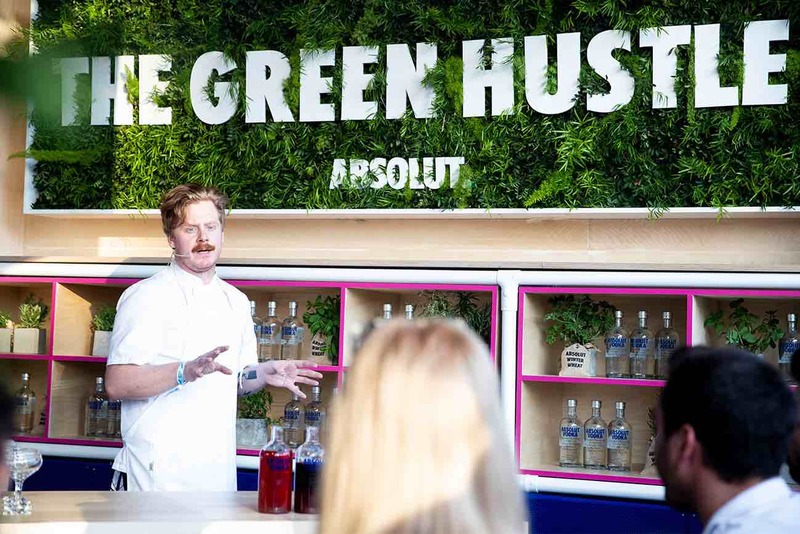 The Green Hustle aims to inspire and enable bartenders to be more sustainable in the bar by showcasing ready-to-implement tools and benefits in a fun and inspiring way. 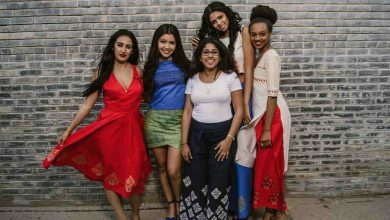 It’s about making sustainability talks un-boring, accessible, fun and relatable. We speak and activate at Global trade shows and starting from this year we are organizing seminars and workshops with local Pernod Ricard markets reaching thousands of Bartenders around the world. What are the key points for other “hustles” (aka bartenders) to reduce waste while doing their job? Forget plastic straws: This hack is great for the environment, and might save you money too! Why not use tasting spoons instead when taste testing or try to source compostable or recyclable straws for your cocktails. Recycle like a pro: Challenge your bar to recycle everything you can get your hands on, such as broken glass, tin cans and used cardboard. Be sure to separate your waste into different bins during the night. Start composting: Why not get your hands on a bokashi composting bin and start composting in your bar. Or why not share one with a neighbouring bar? The compost will be great to use for growing garnishes too! Re-freeze your ice: Consider re-freezing melted ice at the end of the night and using it again tomorrow. Keep the ice in large containers and allow it to melt, then re-freeze. Now you have clear, ready filtered ice magic, for free. Result! Put a lid on the bin: Putting a lid on your bin can really make you stop and think. Ask yourself: Do I need to throw this away or can I use it again? Am I actually using the right bin? Where is this waste going to end up? It’s really that simple! Make citrus stock: Together, let’s end single-use ingredients. Why don’t you save up those citrus husks and re-use them to make a tasty ‘stuice’. This hack is a game changer for your cocktails!!! (find the recipe for citrus stock here). Do you reckon this initiative should come more from the bartenders or the restaurants’ and bars’ owners? I think it is everybody’s responsibility to get involved in one way or another. Sustainability is an overwhelming topic, we hope with The Green Hustle to make it less daunting and more accessible for everyone – the smallest act can make a big impact. We promote that every hack help! If you start for example with ditching plastic straws, that is fantastic and you have joined the movement. If you continue with composting, then you have come a long way. What is your relationship with the brand Absolut Vodka and how is the company supporting you to spread the S-Word within the hospitality community? I’ve been working with Absolut for almost 10 years, I’m proud of our story and our production. I can be transparent and honest when speaking to Bartenders – we are the most energy efficient distillery in the world among large distilleries, we generate 96% less CO2 emissions than the average distillery and we are one of the only one source vodkas in the world and have complete control from seed to bottle which is great from a quality and sustainability perspective. 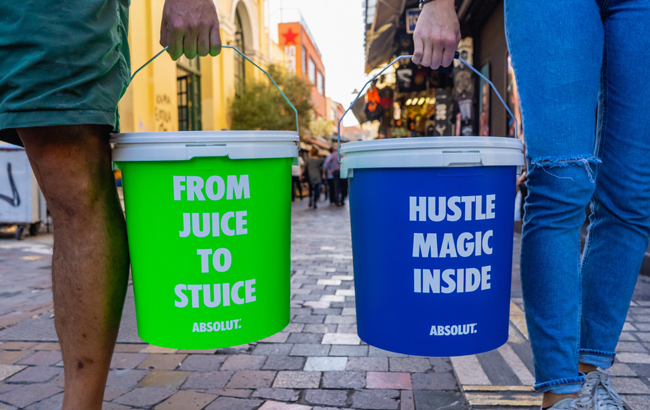 The Green Hustle is initiated by Absolut and will be integrated in Absolut’s upcoming trade activities and events to spread the sustainable message among stakeholders and people in the industry. Are there any bars around the world that have inspired you especially to lead this movement and The Green Hustle platform? 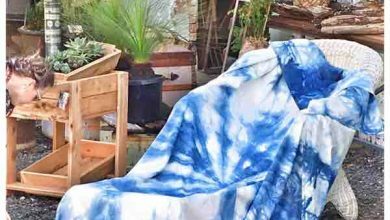 Trash Tiki, a pop up & online platform that seeks to create all ingredients for a tiki bar, from off cuts, unsold products & other raw materials otherwise destined for the bin. We have this forever-asked question, which recalls us to the “what came first: the egg or the chicken” dilemma. When it comes to straws, do you think consumers have created the demand or hospitality businesses created it thinking consumers want it? And how can we stop this vicious circle? Luckily, the straw conversation has been around for years in our industry and many bars around the world have stopped using straws at all. Consumers might not associate bars with sustainability (yet!) However, it is only a matter of time before consumers clock on to the impact their cocktails are having on the planet, and become just as picky about how their drinks ingredients are sourced as they are about their food. 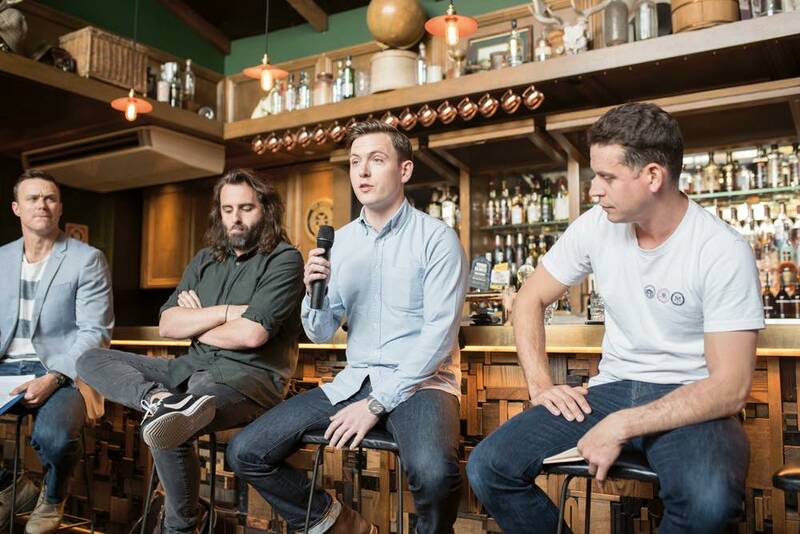 Consumers will get to a stage where they’re not just asking where their ingredients in restaurants are coming from, but they’ll make the link with drinks and cocktails and look for sustainability in bars as well. We, the industry, have a responsibility to spread the message about sustainability and if we all join forces, we will soon see the awakening of a more environment-friendly cocktail-era where straws where just a bad dream. What are your thoughts on other hospitality-related areas, such as takeaway coffee and food? Do you have any ideas on how we could address this big problem? The issues of waste and single-use products must be dealt with in all industries. However, the Green Hustle focus on the bar industry – it is the area in which our main expertise lies which is why we’ve chosen to start there. That said, I think we can all start carrying a keep-cup for our coffee and a reusable water bottle every day- that way we are doing the environment a massive favor to begin with! How do you think the average consumer can take action to create less waste when going to a bar? The most important thing you can do as a consumer to support a more sustainable bar practice is to be aware of the problem of bar waste. What about alcoholic / non-alcoholic drink brands should lead the movement on sustainability? Is the fact they are using glass as a main packaging enough? 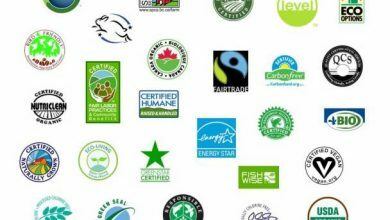 All actors within the industry, the big beverage brands none the least, have a responsibility when it comes to contributing to a more sustainable industry. At Absolut we are constantly working on new ways to minimize our impact on the environment with the vision of a sustainable, circular source as our guiding star. 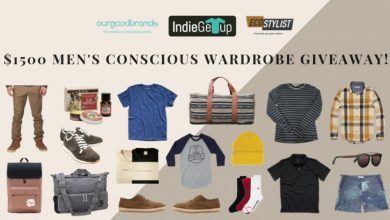 Are there any specific drinks/actions that contribute massively to the waste issue we should be aware of? It is not about compromising or excluding ingredients, it is about an overall approach to be more sustainable in the way you act behind the bar. For example, instead of stop using a specific product or ingredient entirely, make sure you use it in a responsible way, using the whole product. As an example- when it comes to citrus- use our hack to make citrus stock and reduce your lime and lemon purchase by 50%! Where can bartenders and workers in the hospitality industry sign up to The Green Hustle platform? Bartenders can join the movement today by implementing some of our tips/hacks (above) on how to reduce waste in the bar! 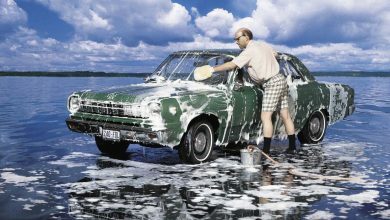 Unfortunately, it’s not yet possible to sign up, The Green hustle is a new initiative that this far only lives online and at global trade shows. However, starting from this year we will also be organizing seminars and workshops with local Pernod Ricard markets reaching thousands of Bartenders around the world. 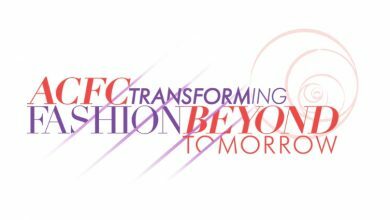 So stay tuned and follow us here for the latest updates. Were you aware of the massive impact the hospitality industry has on the environment? Was learning about bar waste useful? Leave us a comment and share your concerns with us!